Toyeen B's World: Michael Jackson's mom Katherine Jackson DEAD? 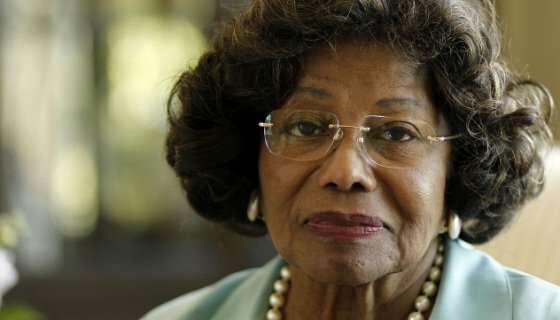 Michael Jackson's mom Katherine Jackson DEAD? Numerous inside sources reveal that Katherine Jackson, the mother of pop luminaries Janet and Michael, has suffered a stroke that has impacted her ability to see and hear properly, alleging that she's been suffering from health problems for a while now. The 87 year-old has since returned home and is surrounded by her large family. Jackson was apparently treated at a San Fernando Valley medical facility, with doctors monitoring her progress following her latest hospitalization. One source notes how this is not the first stroke she's endured, which only helps elucidate some pressing health concerns that are plaguing the matriarch in her later years. Jackson married her partner Joe back in 1949 and had ten children together, which would eventually result in the formation of the music industry's most powerful dynasty. She and her husband utilized their offspring's musical talents to form The Jackson 5, which helped bolster successful solo endeavours for brothers Jermaine and Michael, alongside Janet's eventual ascent into public notoriety. Nor go now o! Nor go join MJ now abeg. Photo: #FYI: Parents, Did You Know These?